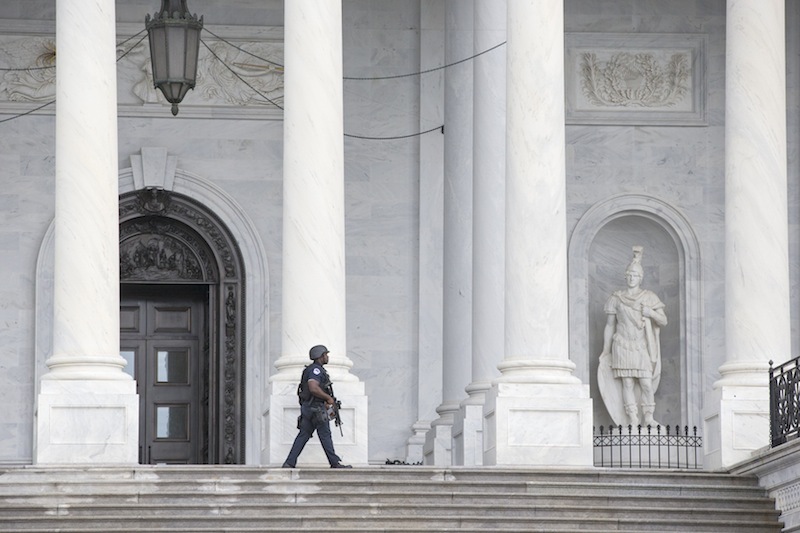 WASHINGTON — So much was misreported in the first few hours after the shooting rampage at Washington’s Navy Yard. NBC and CBS identified a suspect by name. Except, as it turned out, he wasn’t the suspect. Others reported that police were responding to a second shooting at Bolling Air Force Base in Southeast Washington. But then they weren’t – there was no shooting there. The erroneous reports weren’t concocted. In most cases, they came directly from police sources, and quickly bubbled up through the modern media ecosystem, hopping from law enforcement scanners to Twitter to traditional media reports, all within minutes. Reporters are no better than their sources, and as sources, police scanners aren’t very reliable. Although they are often the first public reports of a police or other public safety agency’s response, scanner conversations usually contain numerous uncertainties in the fog of breaking events. Mistaken reporting on big, breaking events has become almost standard in the social media age. Immediately after the school shooting in Newtown, Conn., in December, for example, reporters picked up scanner transmissions of a police raid on a suspect in a Hoboken, N.J., apartment. The raid prompted two widely reported but mistaken stories: that “the shooter” had barricaded himself inside the apartment and that his name was Ryan Lanza. In fact, Ryan Lanza wasn’t inside and wasn’t the suspect. The real shooter was his younger brother, Adam, dead at the scene in Connecticut. Multiple news outlets tuned into scanners to report a “third” explosion during the Boston Marathon bombings last April. As it happened, the episode at the John F. Kennedy Library turned out to be a fire that was unrelated to the two blasts along the marathon route. In 2009, CNN, Fox News and other TV stations caused a few moments of panic and a temporary shutdown of flights from Reagan National Airport when they reported that a Coast Guard patrol boat had fired on another vessel on the Potomac River just as President Obama was commemorating the anniversary of the Sept. 11 terrorist attacks at the Pentagon. The report of gunfire, based on Coast Guard scanner transmissions, turned out to be false. The Coast Guard had merely been conducting a drill. Brady points out that the Newtown and Boston episodes had a key element in common with Monday’s Navy Yard shootings: In each, multiple law enforcement agencies responded, maximizing the number of “official” sources and hence the potential confusion. 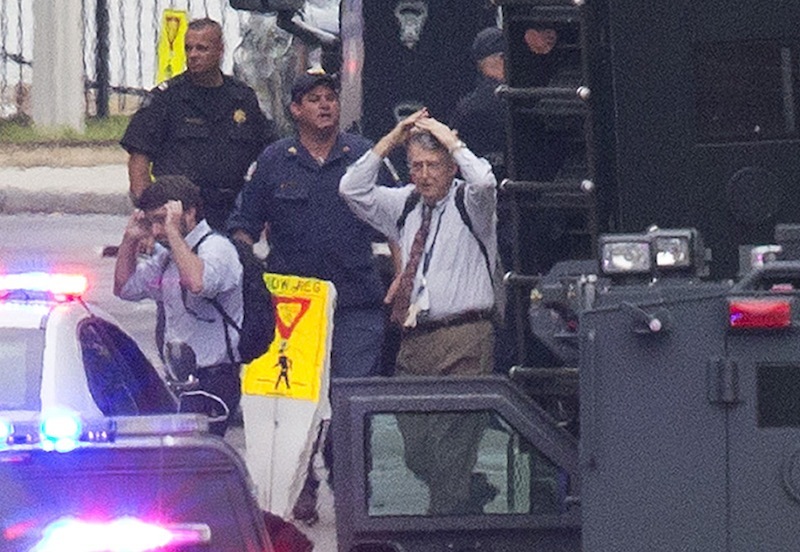 The agencies responding to Navy Yard included the U.S. Park Police, Naval Protective Service, D.C. police and the FBI. The confusion is amplified by a hypercompetitive news environment and social media tools that turn anyone with a Twitter or Vine account into a reporter. “We’ve gotten into a situation where the media’s standard operating procedure has become report first, confirm second and correct third,” said Dave Statter, a veteran TV news reporter who maintains Statter911.com, a website that reports on police and emergency services. Agreed, says Jim Farley, the top news executive at WTOP, the all-news radio station in Washington. WTOP was among the first news outlets to report a shooting at Bolling on Monday. The station quickly corrected the misinformation, which came not from a police scanner but from unnamed police officials who were leaving the Navy yard to respond to an incident at the base. That’s another rule, Farley said: “Better to acknowledge your mistakes and move on” than to pretend they didn’t happen.